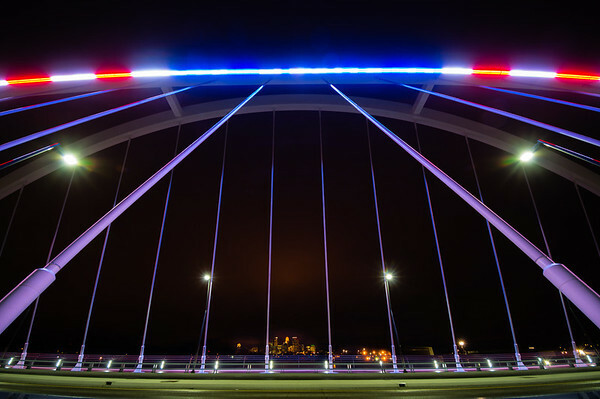 The new Lowry Avenue bridge was decked out in red, white and blue on election day. This was a nice suprise. I was hoping to get some reflections from the little bit of rain we received that day. Wasn’t really enough and it was awfully cold and windy. So far the bridge has been lit in blue, red, orange (halloween) and the patriotic colors seen here. See more of Minneapolis Fall 2012.